Wood – Karl Klier & Co.
Black wood with brown and grey grain, occasionally spotted. Contrary to general belief, it is rather unusual for ebony to be jetblack. It is very dense and hard, with a very smooth surface and resistant to abrasive wear. It is thus ideally suited for fingerboards and components of string and plucked instruments. 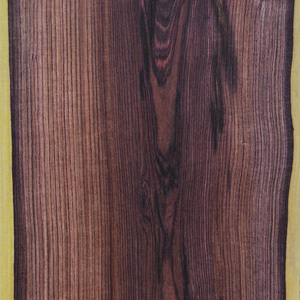 Dark-brown, black-purple with light, yellowish sapwood. Its high density and extreme hardness result in a very smooth surface without visible pores. It has therefore excellent sound-producing properties and is resistant to humidity. When turned, very delicate forms and shapes can be achieved. 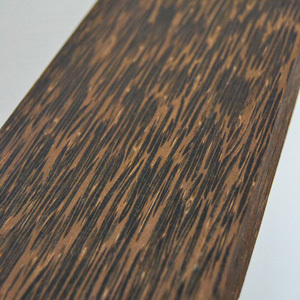 Dark to light brown colour, with black veins, making it very decorative and at times reminiscent of Brazil-rosewood. It is dense, hard, with rather fine pores. The sound-producing properties are excellent. 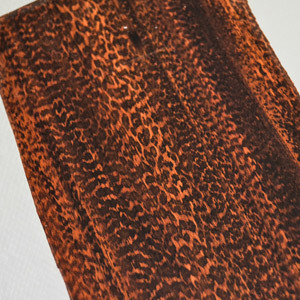 A very decorative wood, streaky, from light brown via auburn to dark purple. It is hard and of rather high density, with good sound-producing and resonance properties. 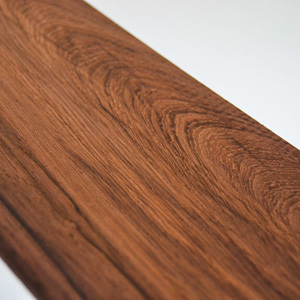 East-Indian rosewood is thus well suited for the production of guitars, but also of fingerboards and tailpiece. The colour is pale yellowish, brown to auburn. It is light, somewhat porous with high stiffness. 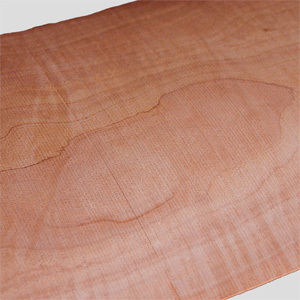 Honduran Cedar is thus superbly suited for guitar necks. Reddish brown, light and soft wood. It has very fine pores and fine, densely packed annuel rings. Because of its good resonance and sound-producing properties it is used in guitar building. 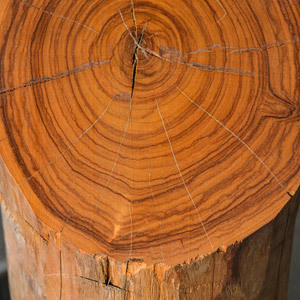 Because of its name this aromatic wood is frequently confused with cedar wood, but is actually a member of the thuya species. Its name derives from its red-rose-white, marbled colouring. It is hard, with fine pores and easy to work. Its decorative appearance and its sound-producing properties make it the ideal choice in the production of high-end woodwind instruments. 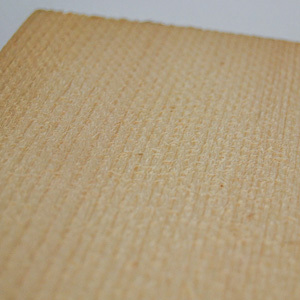 This wood is of a yellowish white with a matt sheen, light, soft and rather springy. Because of its good resonance and sound-producing properties it is used in guitar building. Especially tight grained wood is preferred. Purple with fine and even black veins and fine pores; straight growth, very decorative. It is used in the production of historical woodwind instruments. White, sometimes slightly yellowish. Medium hard wood that comes in different variants like curly and bird’s eye. 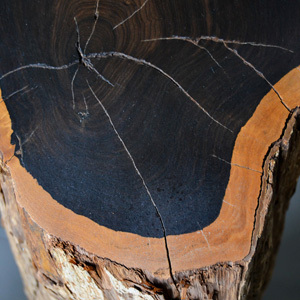 This wood is extremely hard with fine pores, even texture and very susceptible to cracking. The grain resembles the skin of a snake, thus its name. 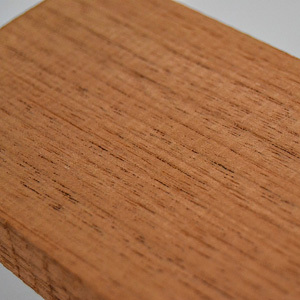 Reddish wood of medium hardness with hardly visible grain. Once worked, the surface is smooth and almost without pores. Well suited for the production of flutes/recorders. 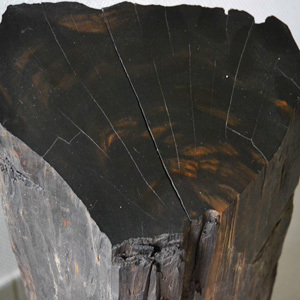 Brownish-black wood with fine, light, needly veins. Very hard, sometimes somewhat porous.